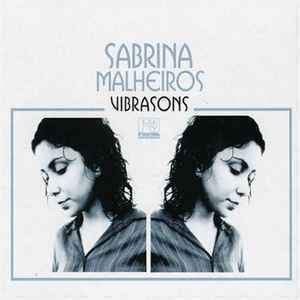 On VIBRASONS, Brazilian chanteuse Sabrina Malheiros gets her debut album EQUILIBRIA remixed by a number of future jazz, house and broken beat stalwarts. Nicola Conte can always be relied upon to deliver, and his quick jazz take on "Terra De Ninguem" will fill your heart with glee. Quantic, on the other hand, lets loose a hybrid hip-hop funk onto "Passa" (Venom will later take a more laidback approach), but on the instrumental version of "Equilibria," Malheiros shows herself just as adept at the funk. Meanwhile, over with the broken beat crew, Kirk Degiorgio, meanwhile, brings an electronic soul to "Saudade Rio," while Max Cole and Beatnik add some wobble to "Cade Voce." Spiritual South brings upbeat breaks to "Capoeira Vai," and Boston Rodriguez does the same for "Nao Quero Nem Saber." On the house side, Kenny Dope goes for a mellower mix on "Estacao Verao," while Incognito goes full 4/4 acid jazz on "Maracatueria" with lush results. Roc Hunter, as well, houses up "Capoeria Vai" for a foot-tapping ditty. Malherios shows off her own skills with the breaks with "Lemanja," which slides down easy. Feel the good vibrasons!